Citroen, the French automaker is all set to launch its first car in the Indian market by the end of 2021. Citroen is owned by Groupe PSA  the French auto group that also owns Peugeot, DS, Opel and Vauxhall brands. 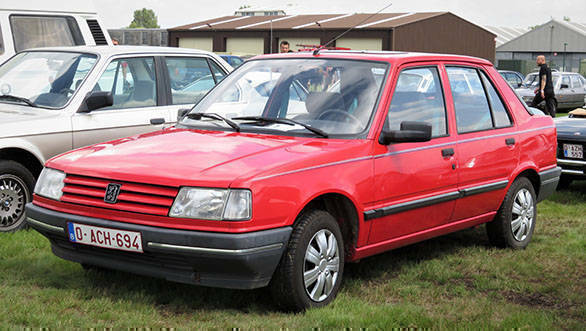 We are quite familiar with Peugeot, with the brand selling its 309 sedan in India in the mid 90s. The memories of Peugeot might not be happy for everyone, as the brand abruptly ended its operations in India. More than 20 years after two unsuccessful attempts and several plans to enter the Indian car market, PSA Groupe has finally decided to bring its Citroen brand on our roads, being the second French brand after Renault to enter the Indian market. Citroen was started in 1919 in Paris, and with 100 years of history, it is a very popular brand across Europe. 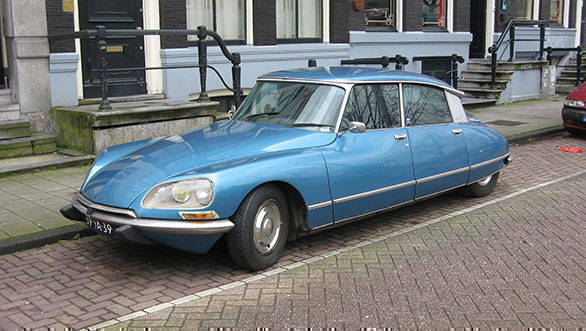 The 1955 Citroen DS is one of the most admired cars in the world, with its futuristic design and technology making it way ahead of its time. Citroen is known for its unique and funky styling, something that might appeal well to the Indian consumers, especially the youth. The current line-up in Europe consists of hatches, crossovers, SUVs and MPVs with sedans being manufactured and sold only in China with its Chinese partner company Dongfeng. Most of its modern cars have a curvy design with very distinctive squarish design elements. While the design does stand out from all other major manufacturers, it will be interesting to see the Indian consumer's reception towards the unconventional look of the brand. There are trademark design bits on all current models like the twin-strip chrome grille with the logo in the centre, flanked by the split headlamps with LED eyebrows on the bonnet shut-line with the main headlight under it. The quirky design language continues on the inside as well. The interiors have the same square design theme running through with most elements like the air-con vents, instrument cluster, horn-pad and even the seat stitching and door pads in a very peculiar rounded-square design. Citroen had already entered into a joint-venture with CK Birla group last year, the same company that owned the Ambassador brand, which it sold to PSA weeks after entering into agreement. Citroen will invest up to Rs 600 crore in the jointly-owned plant facility in Hosur, Tamil Nadu, which will manufacture powertrains and transmissions and assemble its models. The brand aims to achieve at least 90 per cent localisation to keep the cost of manufacturing low and make its cars affordable to the price-conscious Indian buyers. Citroen's first model in India will be the C5 Aircross SUV. In Europe, the C5 Aircross comes with two petrol and two diesel engine options. The base petrol engine is 1.2-litre three-cylinder motor making 130PS and 250Nm of torque and a larger 1.6-litre four-cylinder that makes 180PS and 250Nm. The base diesel is a 1.5-litre four-cylinder engine that has an output of 130PS and 300Nm of torque while the 2.0-litre diesel makes 177PS and a healthy 400Nm of peak torque. Citroen offers a choice of six-speed manual or an eight-speed automatic depending on the engine and variant. While Citroen has not specified the powertrains it will be offering in the Indian market, expect multiple options to keep up with the likes of the Volkswagen Tiguan and the Hyundai Tucson. 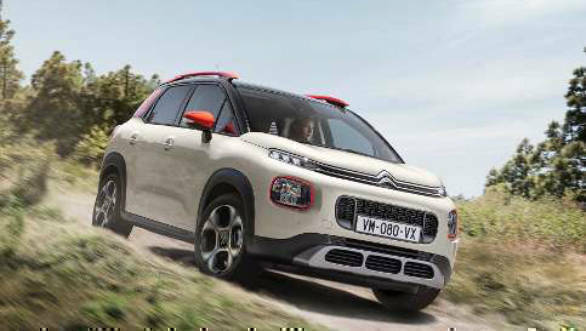 The second model for Citroen in India is likely to be the C3 Aircross SUV. 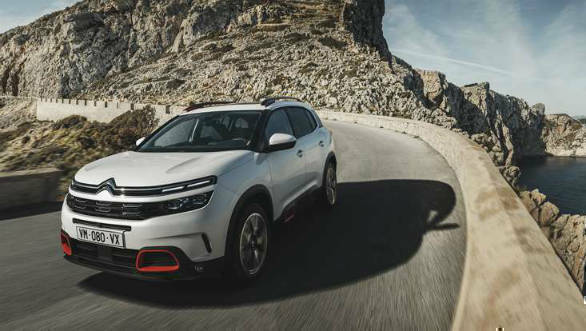 The compact SUV, which is scheduled for a facelift in 2021 will be launched soon after the C5 Aircross. The C3 Aircross is 4,154mm long, and will pit against the Hyundai Creta, Renault Captur and the recently launched Nissan Kicks. Internationally, the C3 Aircross comes with a 1.2-litre three-cylinder petrol in various tunes of power ranging from 82PS to 130PS. A 110PS 1.5-litre four-cylinder diesel engine is also offered, which should be the most relevant option for India. Citroen might make some changes to its models as to the Indian market, but it will keep most of its core intact. While the first model is still some while away to be launched at the end of 2021, Citroen will make an official announcement on their first model in India on April 5. Citroen has close to three years to read the Indian car market closely, and to go along with its unconventional styling, Citroen might be a unique proposition in the growing Indian automotive sector.